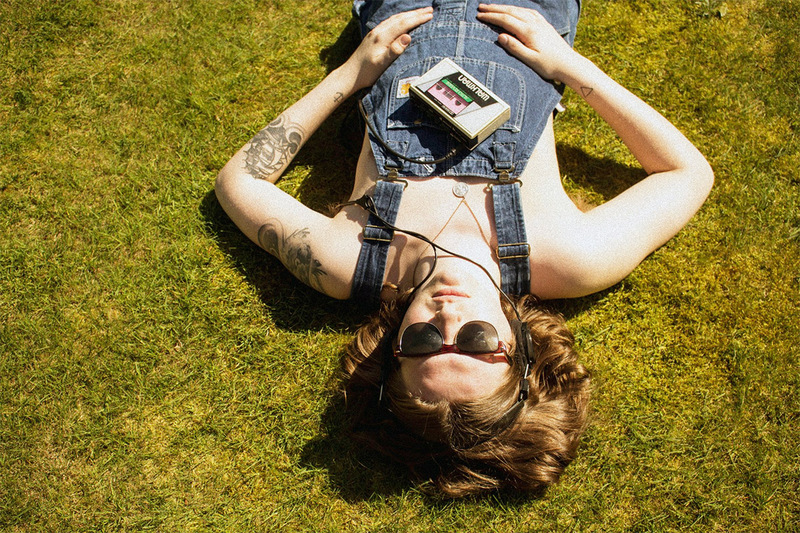 While we were enjoying the sunshine between venues at Live At Leeds the other weekend, we bumped into Ronan Peaker, he of fine dungarees and LELO fame and he told us about his new single I Looked At The Sun. The weather that day, you may remember, was AMAZING – and as the summery weather continues, we’re basking in the audible glow of Lelo’s latest single. Dreamy indie-pop, all twinkly guitars and lazy vocals drift along like wayward dandelion seeds. Not content with the levels of musical serotonin he’d already produced with I Looked At The Sun, he drafted in the sun-kissed vibes of pals Marsicans to help out with a spot of backing vocals. The result is a pretty perfect three-minutes of ethereal indie-pop, floating through a narrative of youthful hopes and dreams, of hazy summer days and lost love. LELO is playing at Sixteen Records launch party at Hyde Park Book Club in Leeds on May 23, which showcases a handful of acts featured on their new compilation Volume One. Get more details here.